In order to demonstrate the currently available acceleration for Elliptic Curve cryptography, Silicom performed benchmark tests for ECC computations. Using OpenSSL software, with NIST P256 and P384 (prime) curves implementations, tests were carried out, comparing software-only capability against Intel® 8955 QuickAssist Technology acceleration engine, laid as a lookaside engine on Silicom PE3iSCO3 PCIe adapter. 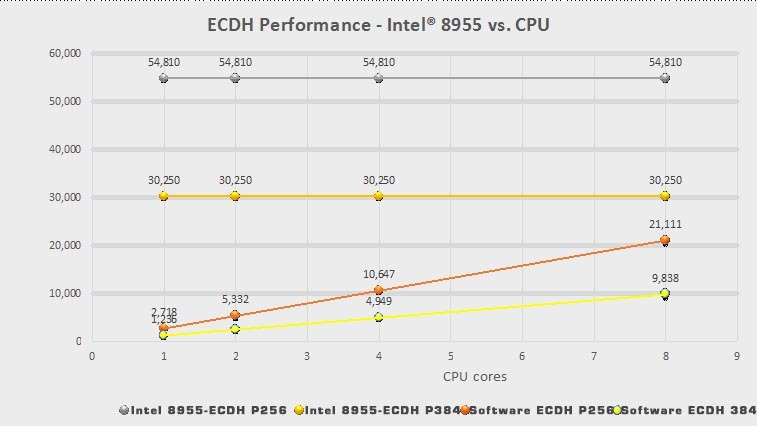 ECDH – Intel® 8955 on both curves under test (P256 and P384), surpasses 8 CPU cores (as well as 10 CPU cores) performance (see Figure 1). 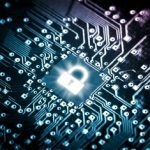 As a result, a complete CPU socket is “returned” to the system, for general purpose processing, while Intel® 8955 upholds all crypto work. 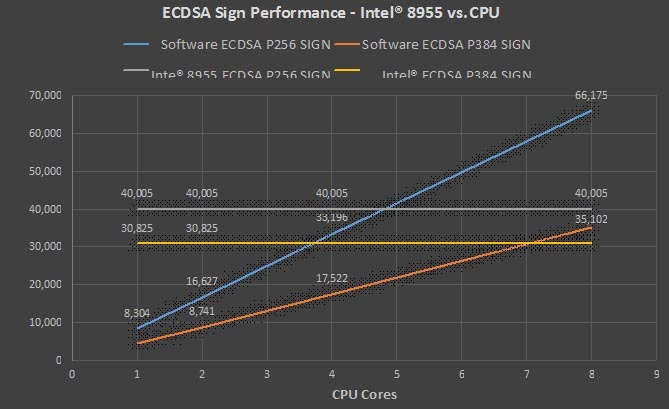 ECDSA – Similarly, with digital signing, Intel® 8955 enables CPU cycles savings, while performing the crypto work of 4, 5, and 8 CPU cores (see Figure 2 and Figure 3). These cores that needed to spend 100% of their cycles on crypto work, are freed almost in full for general processing.